Outstanding Crochet: Baby Deer hat and Bunny Hat Knitting Patterns are availbale at Ravelry. Discount. Baby Deer hat and Bunny Hat Knitting Patterns are availbale at Ravelry. Discount. I finally added these two adorable knitting patterns to Ravelry! These are seam-less patterns made from the rib around the face to the neck. Sizes are from Baby to Adult. Pattern includes step pictures, written instructions, schematics. 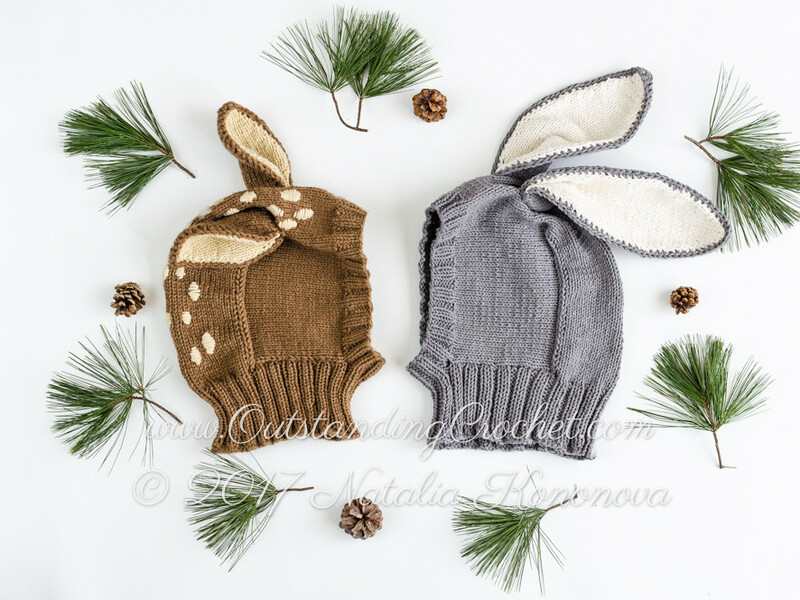 Baby Deer and Bunny Ears Hats Knitting Patterns for Baby, Toddler, Kid, Adult. You can get one or two for just $1 more. Check out Baby Deer Hat Knitting Pattern (clickable link). Check out Bunny Ears Hat Knitting Pattern (clickable link). These hats are just so adorable. I can imagine how cute they would look on my granddaughter's chubby face. Perfect for this winter season.